The largest motivating factor behind fashion choices for backpackers on the Appalachian Trail is comfort tempered with practicality. In 1948 Thru-Hiker Earl Shaffer wore jeans and a long-sleeved shirt, today one may see a few men backpacking in kilts. People are wearing different clothes for backpacking now then the 1940’s, but their choices follow the same reasoning. 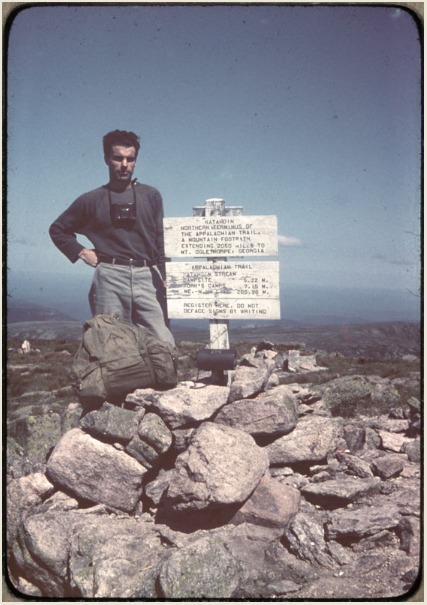 The Appalachian Trail Conference finished the Appalachian Trail in 1937, and at that time hiking club members wore specialized clothing for hiking and other outdoor uses. Early hikers on the Appalachian Trail who were not part of hiking clubs would be wearing either their everyday clothing or hiking specific clothing. Outdoor brands like Abercrombie & Fitch, opened in 1892, and Kelty, opened in the 1950s, would send out catalogs or put advertisements in magazines in order to get people to purchase their clothing. 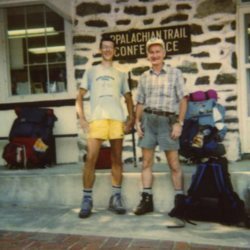 Earl Shaffer was the first to hike the Appalachian Trail from South to North consecutively, he used army surplus gear and hiked in the best clothing available to him. The hiker specific clothing at the time was wool with cotton underclothes, very similar fiber content to everyday clothes. Why not just hike in those instead of purchasing unnecessary items? Many early backpackers did just that. But how did we get from jeans to synthetics and a few kilts? The change started in the 1970’s. Backpackers on the Appalachian Trail traditionally get their picture taken at the Appalachian Trail Conservancy's office in Harpers Ferry, West Virginia. Using these photos as a fashion history resource shows several changes in backpacker clothing since 1979. The greatest shift in Appalachian Trail backpackers' clothing was from denim, cut-off shorts to exercise specific clothing. In the 1970's backpacking had a substantial increase in popularity. 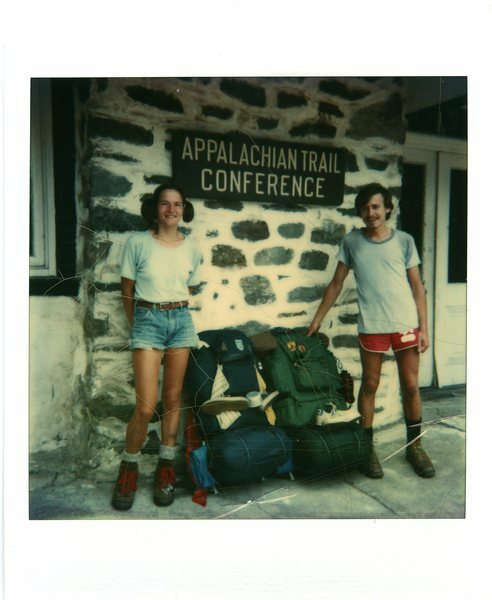 The number of thru-hikers on the AT went from ten in 1970, to 135 in 1979. Manufacturers saw the trend and hikers started to make innovations in gear, as a result many new outdoor brands were created; Sierra Designs, Campmor, and Cascade Designs are a few brands that started in the 1970's. In the 1960's and 70's people started wearing synthetic apparel regularly, but casual clothing was still made of cotton because it was the most comfortable fabric available. Synthetic material didn't become something to hike in until 1979. 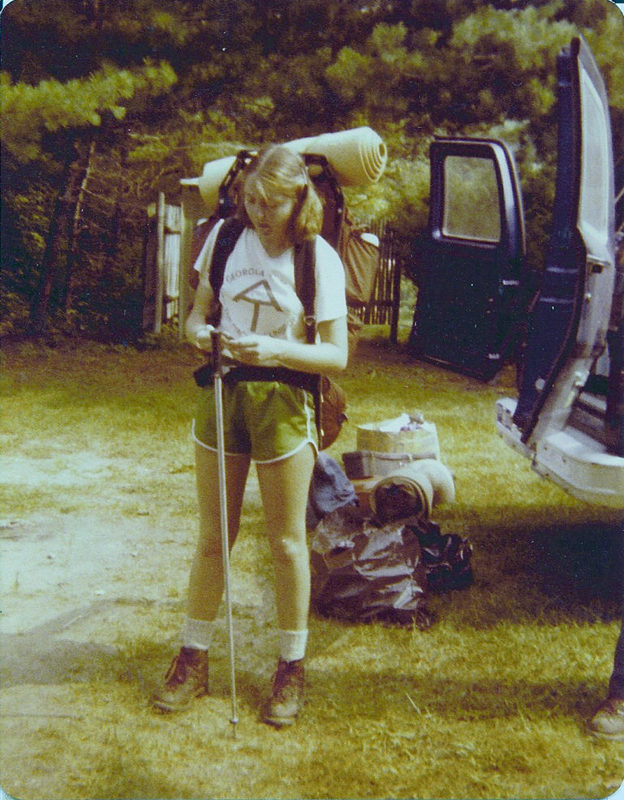 Most of the thru-hikers in 1979 wore denim, with a few exercise shorts thrown in. Backpackers started to buy specialized gear instead of army surplus, but they could thru-hike the AT in their casual, everyday clothes. The activity was still relatively new and there was not a standardized way to do things. 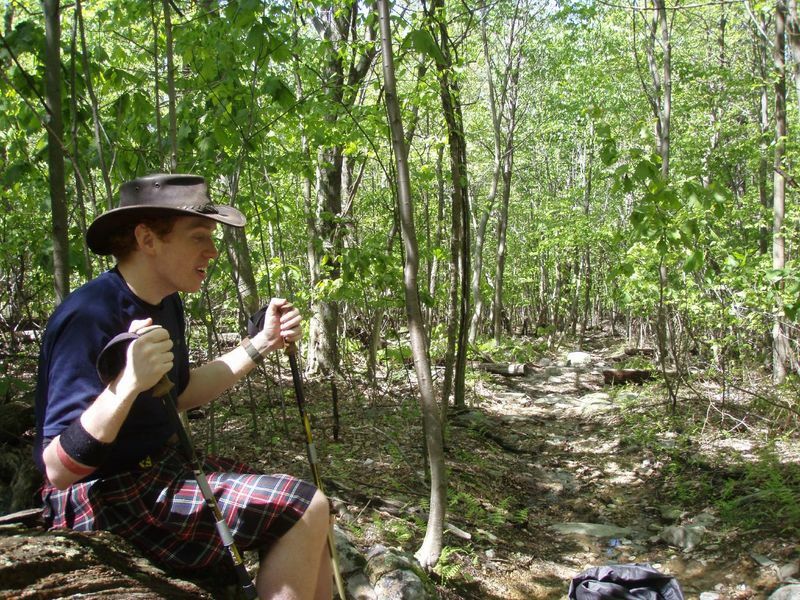 One catch phrase for the Appalachian Trail is "Hike your own hike." Hiking the Appalachian Trail was and is a personal experience, which means each hike will be different and that is part of its charm. Outdoor sport specific magazines also started in the 1970's. Mountain Safety Research (MSR), Backpacker Magazine, and Outdoor Life, put out the latest news about outdoor adventures, gave tips on gear, and advertised outdoor equipment. It was now possible for a backpacker to be well informed and prepared for a trip through reading. In 1973 Backpacker Magazine recommended wool socks over cotton for winter backpacking and in their February edition in 1977 they state in no uncertain terms never to wear cotton socks in the winter. By 1979 an article came out that stated wearing cotton in the winter was like going bare chested. These came out after synthetic and cotton blends were advertised to have the comfort of cotton without its drawbacks. Cotton was still the most popular material for summer backpacking through the mid 1980's, but the idea that smart backpackers wore blends or new synthetic material slowly permeated outdoor magazines. For more information on this go to Cotton Kills. Synthetic, athletic wear filled the 1980’s. People started caring about the brand of their clothing, and as a result, well known athletic brands proudly displayed their logos on their clothing. 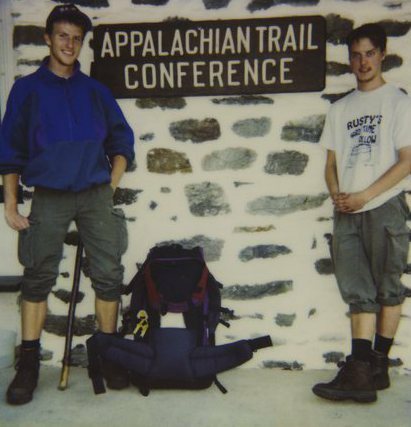 Backpackers were still wearing their regular clothes on the Appalachian Trail, but those clothes had changed and many backpackers left their jeans at home in order to hike in the best clothes they had for the trip. 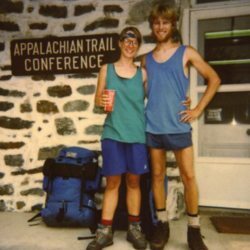 In 1989 most thru-hikers were wearing exercise specific, synthetic shorts. Older hikers were more likely to wear denim shorts, and cutoff jeans were rare. Even the staple cotton tee-shirt that had been worn previously even after jeans were abandoned became worn less frequently. Synthetic sleeveless shirts replaced them. 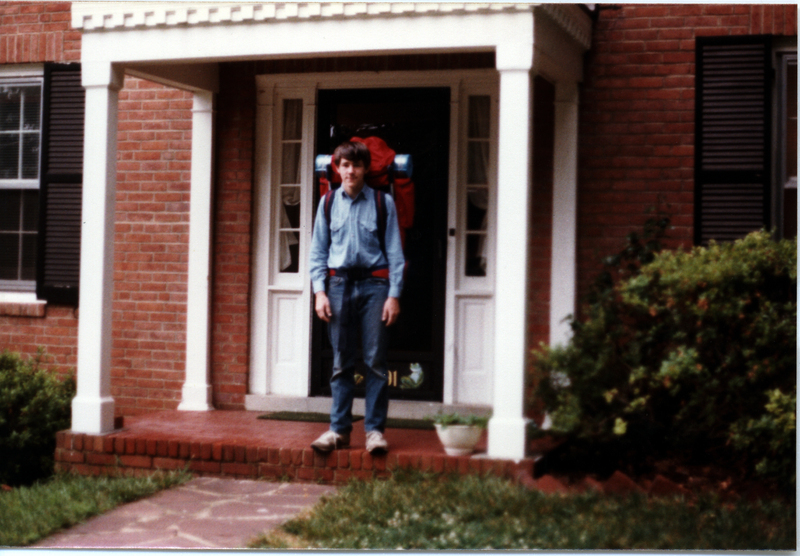 In the 1990's backpackers were more likely to buy clothing specific for hiking. These clothes might feature large pockets or zip-off legs. Nylon was a popular material for pants. North Face had been around since 1966 but in the 1990's it became popular with backpackers. Backpacking continued to gain popularity and the market for hiking clothes continued to grow. As the variety in hiking specific clothing grew, Appalachian Trail hikers started to develop their own, individual hiking styles. The basic look for summer is still a tee-shirt and shorts, but variations within the common look showed individual style. Hikers avoided cotton, but traditional fabrics such as wool increased in popularity. Synthetic material retains its funk even after repeated washings, but wool stays smelling nice longer. 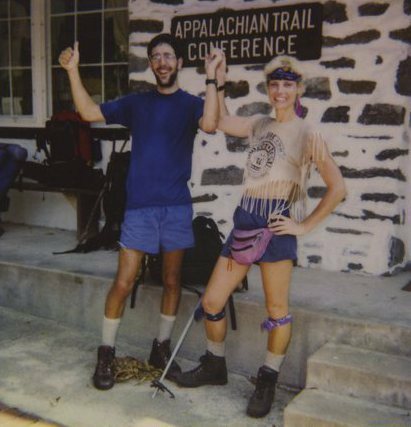 Comfort and practicality are still what motivates fashion choices on the Appalachian Trail, but that often leads hikers to wear clothing that wouldn't be immediately thought of as athletic wear or street clothes. 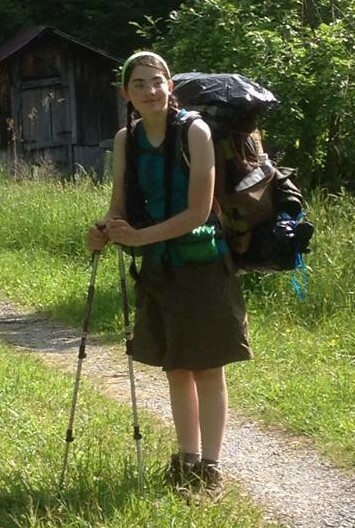 Some of the more modern backpacker specific looks are leggings and shorts, zip-off pants legs stored around the ankle, kilts for men, and athletic skirts or dresses for women. 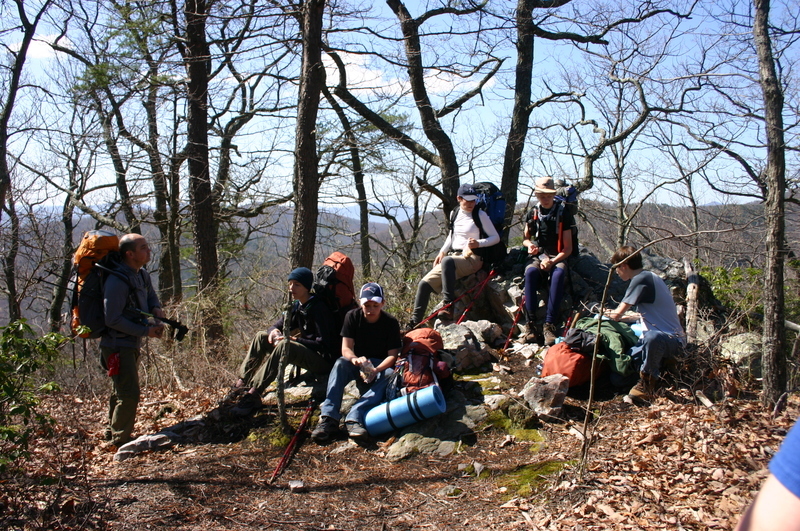 To the left is a group of section hikers stopped for a break on the Appalachian Trail. Several of them are wearing leggings with shorts, a popular style for cold mornings. The number of backpackers wearing kilts or skirts is small but increasing. Each person finds different styles comfortable and will search out what works best for them. Often that leads people to buy expensive hiking clothing because they can afford the luxury to be more comfortable while hiking. As the price and look of backpacking equipment becomes more expensive and recognizable, the more budget friendly options seem less workable. The Appalachian Trail is known as a great equalizer because everyone regardless of who they are off the Trail is equally dirty and tired at the end of the day, but when hikers develop an easily recognizable look, it excludes anyone who isn't wearing what is acceptable for hiking. Backpackers have always worn whatever they wanted and should continue to do so, whether or not their clothing is North Face, homemade, or a thrift store purchase.